Skydive Paraclete XP is excited to be the host for both the 2019 USPA National Parachuting Championships and the 2019 USPA National Skydiving Championships. From September 1st – 27th, Skydive Paraclete XP will host the nation’s best skydiving athletes. The Championships will include competition in canopy piloting and multiple freefall disciplines. If you’re visiting from out of town and are planning on staying in the area, please view our recommended list of nearby accommodations and be sure to make your reservations early. 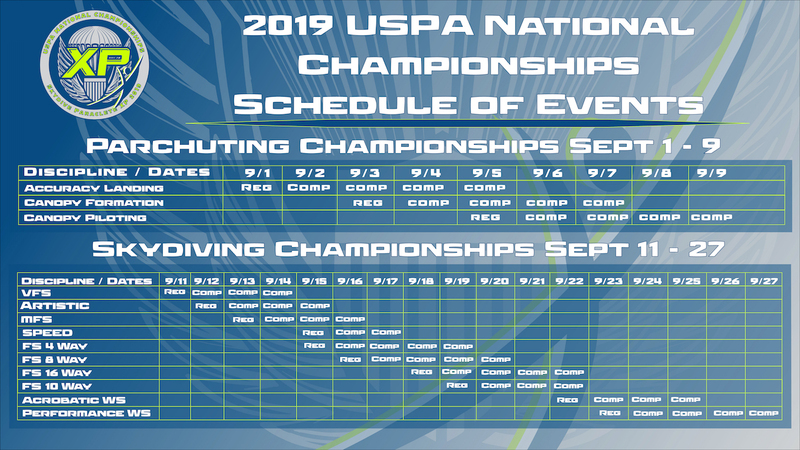 The USPA National Parachuting Championships will be held September 1st – 9th, 2019. 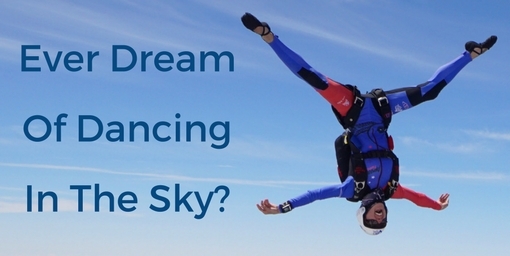 The USPA National Skydiving Championships will be held September 11th – 27th. For more information, please contact competition@uspa.org.